What Is Zero Waste Bartending? Meet the new generation of mixologists who want to do good for the planet. From banana peels to rosemary stems and citrus husks—ingredients once destined for landfill are now being recycled and repurposed by a new wave of socially conscious bartenders committed to sustainable and low-waste practices. This is no mere trend. 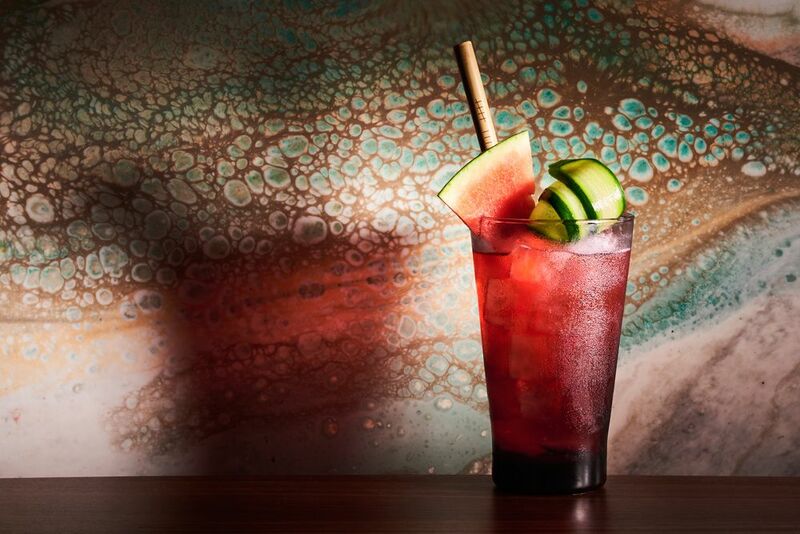 It’s a full-blown movement, spearheaded by bartenders the world over on a mission to mend the planet, making cocktails out of ‘waste’ and employing locally made biodegradable or reusable materials. So it’s goodbye to plastic straws, paper napkins and cardboard coasters. In an industry known for its excess, Ryan Chetiyawardana caused controversy with the opening of White Lyan in London back in 2013, where he implemented a strict no-citrus policy. Disillusioned with citrus’s heavy carbon footprint, Chetiyawardana opted instead to replicate its flavour profiles by playing with vinegars and other acids. And it makes sense if you consider the life of a single lemon: the planting, growing, harvesting, transporting, processing, storing, packaging and more transporting involved, all for a single squeeze and toss. In 2017, he evolved White Lyan into Super Lyan. "With White Lyan we challenged the status quo and the waste generated by the blindly followed rules of the industry. It drastically reduced waste by drastically overhauling operations," explains Chetiyawardana. By combining the ethos of White Lyan with that of his other award-winning bar, Dandelyan, he confronted the idea of seasonality and championed the idea that sustainability is not only about sacrifice. "We will use natural products from around the world, and an understanding of their biology allows us to use them better, and more completely. We will try work with producers directly where possible." As such, Chetiyawardana continues the fight for low-waste bartending coupled with forward-thinking ways of sourcing. Nine Lives, a newcomer on the low-waste London bar scene, has joined the good fight against ‘single-use’ ingredients. When life gives them lemons, they’ll squeeze the juice of a lemon for cocktails, extract essential oils for liqueurs from the skin, and use what's left over to compost the herb garden out back. As owner Tom Soden, who is currently writing a manual on sustainability for Diageo, explains: “Reusing a lemon is only skin deep on sustainability”. From a quick look around his bar—speakers repurposed from a club opposite, faux marble table tops made out of resin, and bamboo straws with a strict ‘one per customer’ rule (“if you lose a straw it’ll cost you a quid thereafter”)—it’s clear that Nine Lives regards long-term sustainability as part of its mission. The drinks menu is updated every four months at Potato Head Hong Kong, with each successive list utilising and minimising the waste generated by its predecessor. So ingredients that would otherwise go into waste are instead looped into the next cycle of drinks. Citrus husks will be repurposed into oil, salt cures and liqueurs; pineapple skin and ginger pulp will make fermented tepache; mango seed creates aromatic and bitter components; and coconut husks can be used as a souring agent or dried to impart nutty, smoky flavours. The aim, Edgerton says, is to “find second or third uses for each ingredient, reusing and repurposing what we can and making the rest into compost”. Reusing and repurposing ingredients is gathering pace in Hong Kong. Last month, 40 Hong Kong bartenders attended the ‘Trash Talk’ seminar by Trash Tiki, an anti-waste bartending duo, currently on a year-long global tour educating bartenders about waste minimisation. They spent two days in the city, and hosted a pop up at The Pontiac (itself committed to low waste bartending), working with local bars on ways to save what would otherwise have been thrown out, resulting in an inventive ad hoc menu. Leftover quinoa was made into orgeat, leftover longans were infused into Curaçao, and leftover foam from “run off beer” was turned into a boozy syrup.